Are ants on Citrus trees OK? 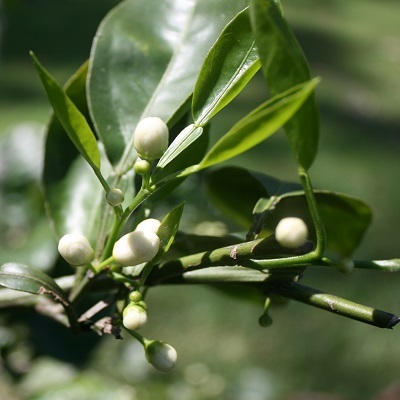 Is your citrus tree looking ok? I often visit gardeners with citrus and they often have problems. The first thing I look for is ants tracking up and down the tree. While lots of flowers is promising for a new harvest in a few months, and you may think the ants are drawn to them for the nectar, the ants are a real problem. Actually, the ants themselves are not the issue, but the reason they are in the tree is a problem. Ants can often be found tracking up and down in citrus, gardenias, bay trees and many more shiny-leafed trees and shrubs. They are doing their job of cultivating waxy scale insects so they can collect the sweet exudates from the scale and feed it the ant young back in the nest. Look closely at your citrus leaves and you may find you have a black dusty film on the leaves too. 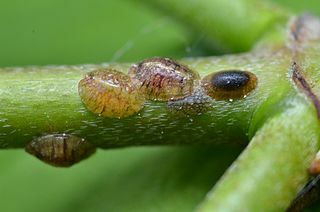 This is the black sooty mould so often associated with scale insects. 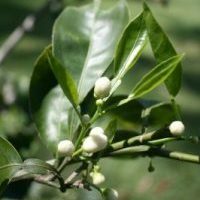 It is harmless, but the scales will be small round raised lumps on the underside of the leaves near the veins. Their are sucking the life out of your tree and have to be stopped. 1. If the tree is tiny, just wipe the scale off with a moist cloth. 2. Ensure the tree is in a moist and well fertilised spot with its roots covered by soil then mulch and that it is not stressed and weakened. 3. If the tree is larger, spray the entire tree, including branches and underside of leaves, with an organic oil such as Eco Oil. It works to smother the scale. Do a follow up a couple of weeks later to ensure you have all the scale covered. 4. If your tree is still suffering from scale after this treatment, cover the tree branches and as many leaves as possible with biodynamic tree paste. This is available from the Biodynamic association to kill all scale nymphs and smother scale hiding in bark etc..